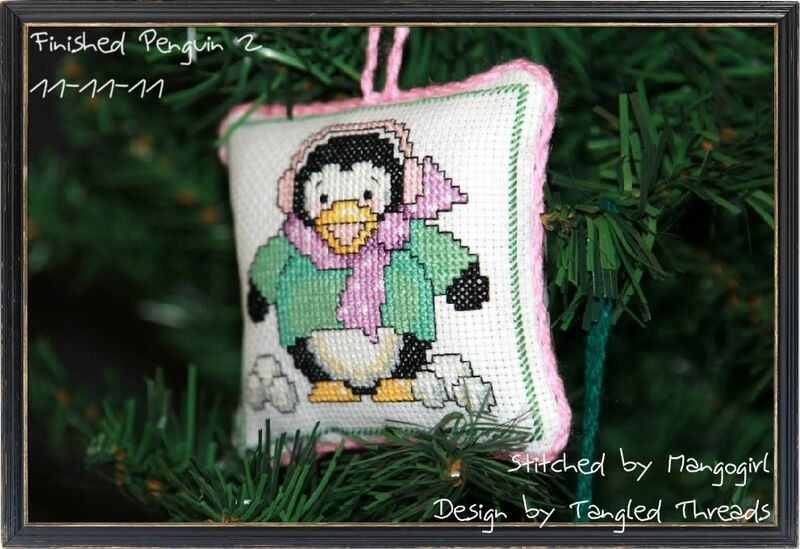 This post will be picture heavy, I got my dad to use his big fancy camera and take pictures of my cross stitch on a tree that I bought yesterday. I spent $5 and got a tiny tree that will be perfect for showing off my ornaments :D I do like the prices Kmart charges but I don't know how they do it! 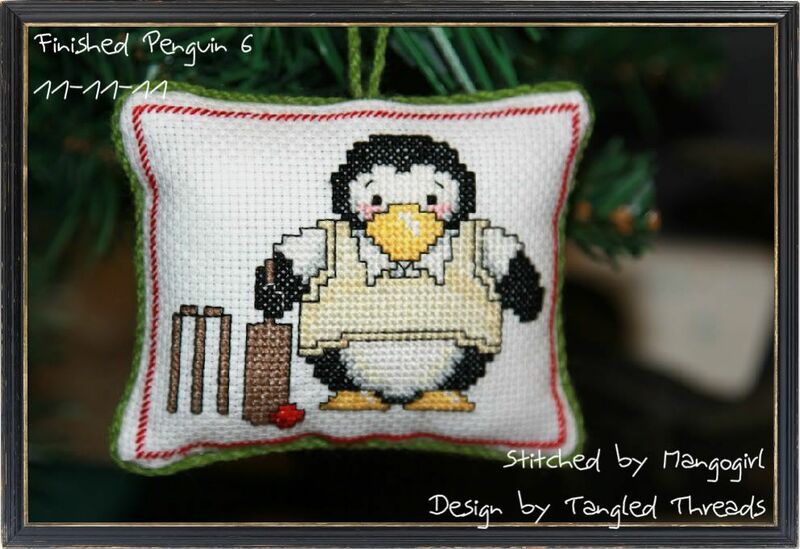 Now I do have some more penguins finished with stitching but I need to get my camera onto them and it's already back on the frame to stitch the next one. So I will make sure I take a photo tonight so that I can show it off tomorrow. 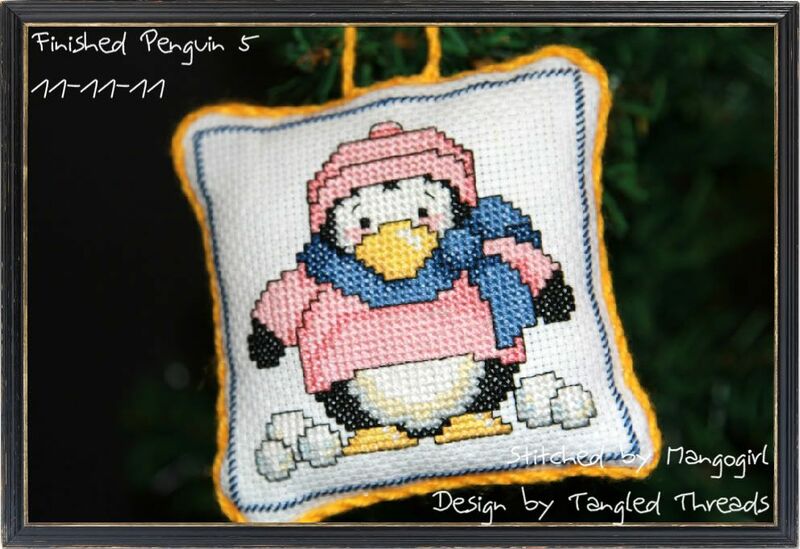 Rhona you can use these images for your website, they are so cute and easy to stitch! Oh. My. Goodness. Caitlin... how cute are they? Love the ones with the mouths open. lol Great find on the tree, too. 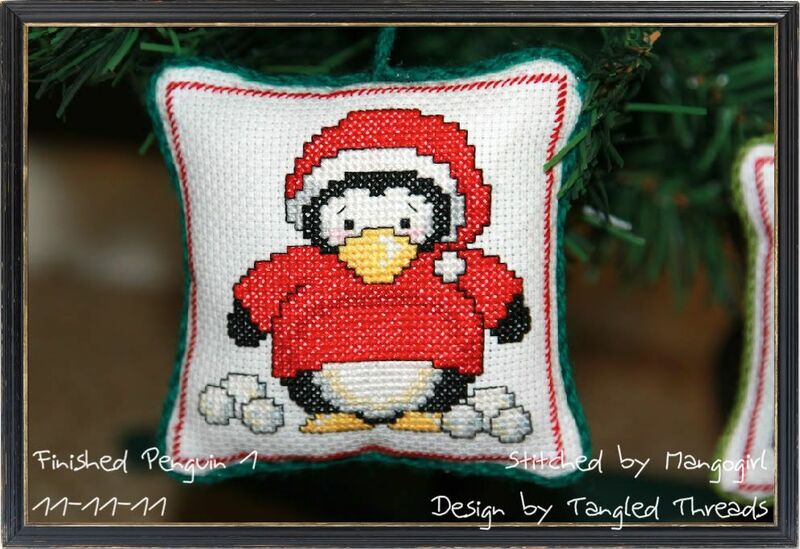 Your stitching and your finishing are wonderful. Great job!!! 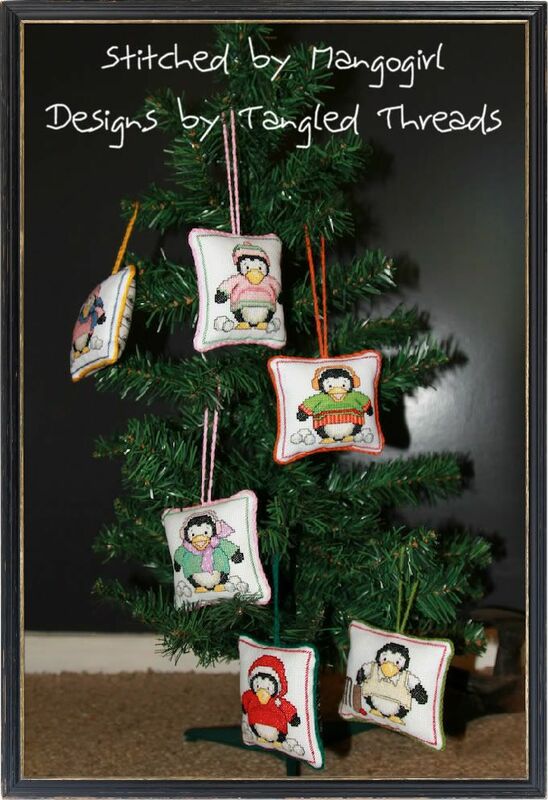 Caitlin, they are fantastic you did a wonderful job making them into ornaments! Yes please, please, please....send me the pictures! 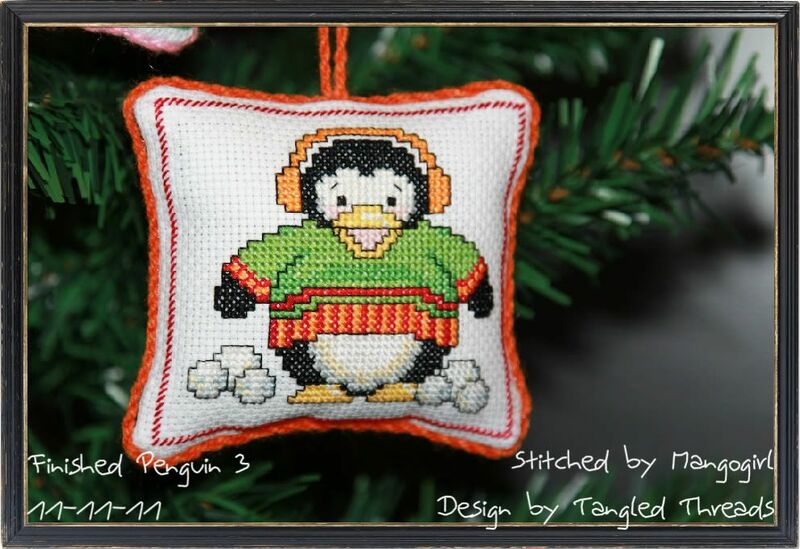 What perfectly adorable Christmas penquins, and your ornament finishing of them is great! They look so cute on that sweet little tree! Those penguins are adorable! All of my children "collect" something for Christmas ornies and my youngest is penguins. I'm off to look for a chart for these. 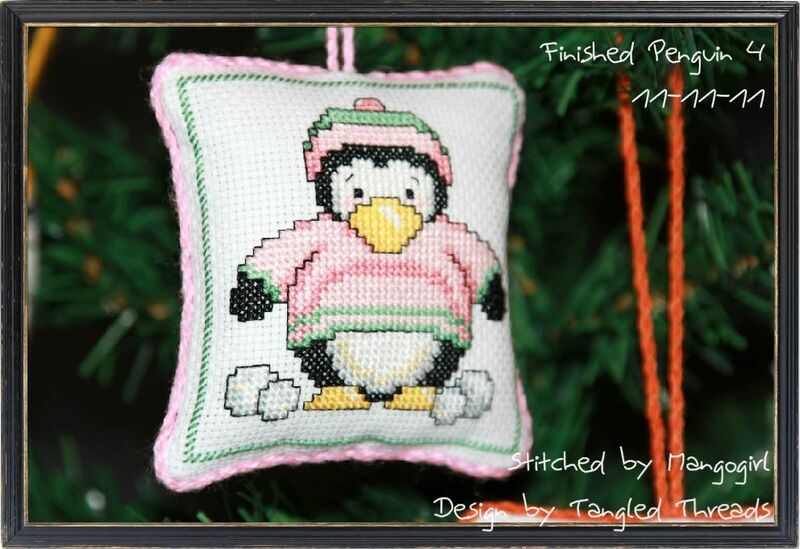 So glad I saw your blog listed in the comments at CraftGossip! Love them, Caitlin. They're too cute for words!!!!!! !